Running With Glitter: Running With Glitter #7 Link Party! 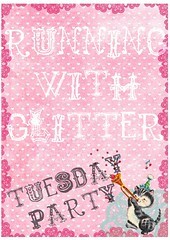 Running With Glitter #7 Link Party! If you want pretty please grab my party button or link back to help share the Glitter love. If you don't its okay I"m still glad to have you here. I will leave the party open until Thursday at midnight and have a Friday Spotlight.